"In the OECD’s annual Education at a Glance report for 2014, researchers found that it is becoming more common for students to attain at least a secondary education across most regions of the globe, but they also found it’s becoming ever more common for students to then pursue a tertiary higher education." inform Study International Staff. 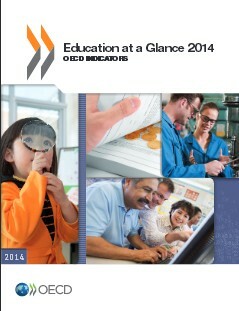 Reference: OECD (2014), Education at a Glance 2014: OECD Indicators, OECD Publishing, Paris. The publication collects data from 34 OECD countries, as well as some non-OECD regions, including Brazil, Russia, Argentina, China, Colombia, India, Indonesia, Latvia, Saudi Arabia and South Africa. The report showed that roughly eight out of 10 young adults (aged 25-34) within the surveyed countries had completed upper secondary education. As for practical education and experience, attainment levels were comparatively lower, with roughly three in every 10 adults having attained it. But the report points out that these levels have risen 10 percent across all OECD countries since the year 2000, demonstrating the sharp rise in not only practical education, but a modern, blended education - where students are able to develop a well-rounded skill set of academic knowledge and practical experience. The debate on practical skills versus theoretical knowledge is one that has been progressing almost as long as taught education itself. Whilst the benefits of a theoretical, academic education can be seen through the successes of the scholars of history, it is also the practical and applied education that has changed our society & culture in so many ways and influenced how we live today. Historically one may have had to choose which school of thought to belong to, but the more society progresses it is becoming increasingly important to realise that education does not have to be purely theoretical, or purely practical, but that a mixture of the two is the most beneficial for the young people of today, and in turn society itself. “Bias against [any particular type of] education is dysfunctional,” writes Mark Phillips, professor emeritus of secondary education at San Francisco State University. “[Our children] should have the opportunity to be trained in whatever skills their natural gifts and preferences lead them to." More and more, employers across the globe are seeking qualified employees with a good balance of academic prowess, practical knowledge and specialised skills, such as those gained from universities of applied sciences. The practical, applicable guidance students at these institutions receive, paired with the rigour of the academic curriculum they study, not only increases participation in a highly skilled workforce, it also allows companies to take advantage of new technologies, and pushes improvements in productivity across the whole nation’s economy. Sebastian Vasile studied Mathematical Engineering at Inholland University of Applied Sciences, one of the most popular Universities of its kind due to its unique and culturally diverse location in central Amsterdam. The University also offers undergraduate programmes in Aeronautical Engineering, International Business Innovation Studies, International Music Management, Media and Entertainment Management and Tourism Management. Sebastian claims the work placement opportunities hugely swayed him in the process of deciding which university he should go to as he knew the experience could see him into a career virtually anywhere in the world. "I am currently doing my individual project internship," says Sebastian, "which requires me to work at a company as part of the programme curriculum. The job revolves around mobile development. Besides that, I did have a part-time job during my third year of studies, where I worked as a web developer. "Although at times it was a challenging, it did not hinder my school activities and performance as I always aimed to put school as my main objective. Overall, I can state that because of information gained in school, as well as some extra work experience, I was able to find a job and an internship rather easily." Inholland University of Applied Sciences is an ambitious institution with over 29,000 students, 26 research groups, more than 110 nationalities, and approximately 1,800 employees. Those who study at Inholland University of Applied Sciences can be assured of a top-quality professional education, both in content and norms and values. Over several campuses across the Netherlands, Inholland offers a wide variety of programmes, with 6 bachelor programmes taught in English, in all fields of study from mathematic engineering to tourism management. Courses are geared towards the needs of the professional field, resulting in top-quality degrees and in-demand graduation tracks. 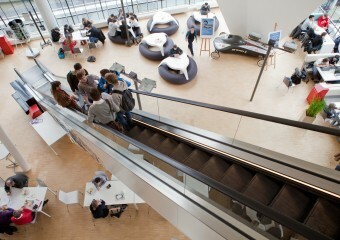 The majority of the English taught programmes are located at the Amsterdam campus, the perfect place to study due to its central location in Europe, cultural diversity, thriving social scene, unique character and student-friendly community atmosphere. Munich University of Applied Sciences is a modern, service-orientated University in one of the most liveable cities in the world. It is also the largest applied sciences institution in the whole of Germany. With over 17,800 students, around 500 professors, 750 lecturers and 660 staff, the School is committed to its own guiding principle, to transform “knowledge into know-how and learners into leaders.” Course offerings are multifaceted: 14 departments in the areas of technology, economy, social studies and design provide teaching in over 70 study courses. Study courses can also be individually designed, providing a multifaceted approach that guarantees you individuality as you maximise your strengths and implement your ideas. Helsinki Metropolia University of Applied Sciences, Finland’s largest university of its kind, educates the professionals of tomorrow in the fields of culture, business, health care and social services, and technology. The School is home to 16,500 students, 1,080 members of staff and 67 degree programmes - 15 of which are in English. The School is the most popular University of Applied Sciences in Finland in terms of applicants and the second most popular in terms of attractiveness, with 6.3 first-choice applicants per study place for the year 2014. Metropolia aims to be Finland's best ranked university of applied sciences. Over the past few years the IMC University of Applied Sciences Krems has built up a strong international reputation and now has over 2,500 students from all over the world. Through a combination of academic and business expertise, IMC opens up excellent domestic and international career opportunities for all of its graduate students. An international approach and practical focus are the School’s leading priorities. University level education tailored to professional requirements demands a solid academic background, and in order to equip them for the challenges of working life, IMC Krems students have the opportunity to study abroad or complete an internship with one of its 1,000 partner businesses worldwide. Education at a Glance: OECD Indicators is the authoritative source for accurate information on the state of education around the world. It provides data on the output of educational institutions; the impact of learning across countries; the financial and human resources invested in education; access, participation and progression in education; and the learning environment and organisation of schools. 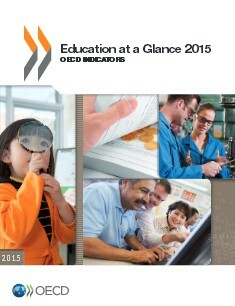 Reference: OECD (2015), Education at a Glance 2015: OECD Indicators, OECD Publishing, Paris.